These are collection of some famous Gurkha knives that have direct and indirect association with the legendary Gurkha soldiers. The list runs from the classic army khukuri of Gorkhali Sainik that British first encountered in mid 1700’s to standard issue of World War kukris to the current British service khukuri of this year. Some knives have very close tie to the Gurkhas officially where as some are optional knives that are Gurkhas’ first choice khukuri. The bond between the man and the knife is unique, intense and commendable that has change the course of history. 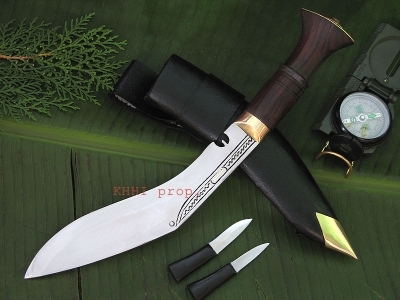 These are KHHI’s best sellers when it comes to Gurkhas and their famous and feared knife.